Silicate melts are very active in the interior of the Earth and other terrestrial planets, and are important carriers for the transport of material and energy. The determination of the equation of state (EOS) for silicate melts and the acquisition of a precise quantitative relationship between molar volume (or density) and temperature, pressure, and composition is essential for simulating the generation, migration, and eruption processes of magmas and the evolution of the magma ocean stage during the early formation of the Earth and other terrestrial planets, for calculating and modeling the phase equilibria involving silicate melts, and for revealing the variation of the microstructure of silicate melts with pressure. However, it is experimentally challenging to determine the volumetric properties of silicate melts and the accumulated density data at high pressure are still very limited due to a series of problems such as: the high liquidus temperature of silicate rocks; proneness for silicate melts to react with sample capsules to change the melt composition; and proneness for melts to flow and leak during the high pressure and high temperature experiments. In recent years, there is rapid progress in the high pressure and high temperature experimental techniques, in terms of not only the extension of temperature and pressure ranges but also the improvement on the accuracy of measurements, and the emergence of new methods for in-situ measurements. Here, we review the widely-used theoretical models of ambient-pressure and high-pressure EOS for silicate melts, and illustrate some problems that need to be solved urgently: (1) the room pressure EOS for iron- and titanium-bearing silicate melts needs to be improved; (2) the partial molar properties of the H2O and CO2 components in silicate melts containing volatile components may vary markedly with the melt composition, which need to be addressed in high-pressure EOS; (3) how the formulation and applicable range of EOS correspond to changes in melt structure and compression mechanism requires further study. We highlight the basic principle and applicable range of various methods for determining the EOS for silicate melts, and compare the advantages and disadvantages of doublebob Archimedes method, fusion curve analysis, shock compression experiments, sink-float method, X-ray absorption, X-ray diffraction and ultrasonic interferometry. Future trends in this field are to develop experimental techniques for in situ measurements on melt density or sound velocity at high temperature and high pressure and to accumulate more experimental data, and on the other hand, to improve the theoretical models of the EOS for silicate melts by a combination of research on the microstructure and compression mechanisms of silicate melts. 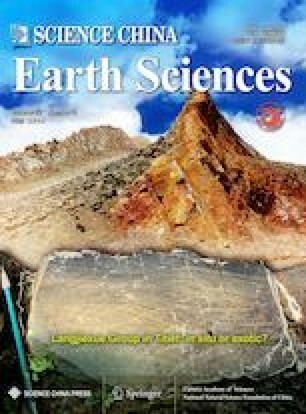 Constructive comments made by Yongfei Zheng, the chief editor, two anonymous reviewers, and Haoran Ma from School of Earth and Space Sciences, Peking University, which greatly improved the quality of this manuscript, are highly appreciated. This work was supported by the National Natural Science Foundation of China (Grant Nos. 40972028, 41520104004, and 41672036).